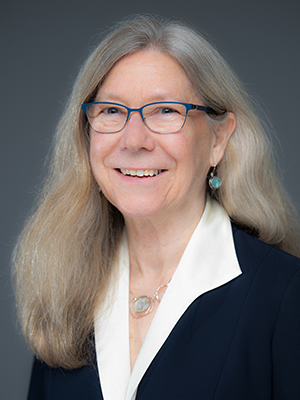 Children’s Clinical Health Psychologist Maureen E. Lyon, Ph.D., has received the “Judy White Memorial Clinical Research Pilot Exploratory Projects in Palliative Care of Cancer Patients and their Families” grant from the American Cancer Society (ACS). Over two years, Lyon will be allotted $144,000 to translate Children’s evidence-based Family-Centered (FACE) pediatric advance care planning (ACP) protocol into Spanish through a process of community-based participatory research for teens with cancer. 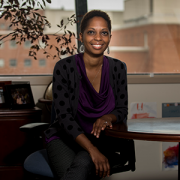 Lyon’s research focuses on enabling families to understand their adolescents’ treatment preferences and describing patient-reported palliative care needs for teens with cancer. Ultimately, the research will help identify the wants, values, goals and beliefs of teens with cancer. Along with the ACS research grant, Lyon and Jessica Thompkins, BSN, R.N., CPN, research nurse coordinator at Children’s National, will present at the Annual Assembly of Hospice & Palliative Medicine conference, March 13-16, 2019 in Orlando, Fla. on data from the current multi-site, five-year randomized clinical trial funded by National Institute of Health/ National Institute of Nursing Research for English-speaking teens with cancer. During the presentation, they will speak about the effect of FACE ACP on families’ appraisals of caregiving for their teens with cancer and describing advance care planning communication approaches. 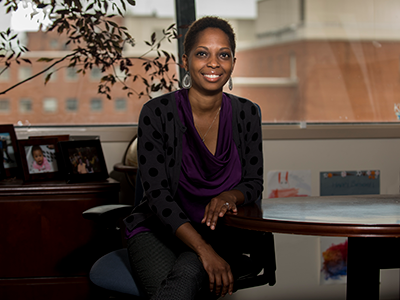 Lyon and other researchers at Children’s National look forward to making significant contributions to the science of advance care planning aimed to minimize suffering and enhancing quality of life for young adults. Their contributions give teens a voice in their future medical care and help families “break the ice,” by providing an extra level of support to treating clinicians. From November 16 to 19, medical professionals, clinicians, nurses and oncology patients and families from around the globe gathered for the International Society of Paediatric Oncology (SIOP) in Kyoto, Japan. Pediatric experts in their respective fields Jeffrey Dome, M.D., Ph.D., AeRang Kim, M.D., Ph.D., Steven Hardy, Ph.D., and Karun Sharma, M.D., attended SIOP representing Children’s National. The four-day scientific programme engaged those in pediatric oncology with educational lectures, keynote speakers, tailored sessions for survivors, families and support organizations, free paper sessions, specialist sessions and Meet the Expert talks. Dr. Kim, an oncologist with the Center for Cancer and Blood Disorders and a member of the solid tumor faculty at Children’s National, presented with Dr. Sharma, director of Interventional Radiology at Children’s, on “Interventional Radiology: Technology and Opportunities” in Meet the Expert talks on both Saturday and Sunday of the programme. They discussed background information, preclinical studies, current, ongoing studies of high-intensity focused ultrasound (HIFU), HIFU in combination with heat sensitive formulated chemotherapy and future directions. In 2017, Children’s National was the first U.S. children’s hospital to successfully use MR-HIFU to treat osteoid osteoma, and is currently accruing on early phase studies evaluating HIFU ablation and HIFU in combination with lyso-thermosensitive liposomal doxorubicin for pediatric patients with refractory/recurrent solid tumors. Dr. Hardy, a pediatric psychologist in the Center for Cancer and Blood Disorders at Children’s, presented on “Brief Psychosocial Screening to Identify Patients in Need of a Mental Health Treatment Referral in a Childhood Cancer Survivorship Clinic.” In his educational lecture, Dr. Hardy described findings that show a brief mental and behavioral health questionnaire given to patients in the Children’s National survivorship clinic is a sensitive screening tool that can identify patients in need of more formal psychosocial evaluation and treatment. He also presented data supporting the use of a lower threshold of psychological symptoms necessary to trigger discussions about mental health treatment compared to previous reports. 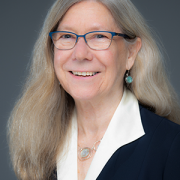 The key implication of Dr. Hardy’s work is that survivorship clinics lacking embedded psychology support could adopt this questionnaire, which is publically available and translated into 86 languages, to help identify survivors with mental and behavioral health concerns and ensure appropriate referrals are made. 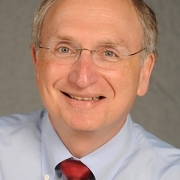 Dr. Dome, Vice President of the Center for Cancer and Blood Disorders, served on the SIOP Scientific Programme Advisory Committee, which selected the topics for presentation. SIOP provides an international forum for the sharing of new research and ideas related to pediatric oncology. The annual conference furthers the efforts made towards developing new treatments and cures and opens the conversation, encouraging innovation and collaboration with experts from around the world. Children’s National has taken part in SIOP for many years, most recently hosting the meeting in Washington, D.C., in 2017. 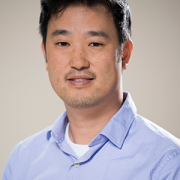 “We found that some patients diagnosed with standard tools underwent much more treatment than necessary or intended,” said Eugene Hwang, M.D. Eugene I. Hwang, M.D., a neuro-oncologist in the Center for Cancer and Blood Disorders, and other researchers at Children’s National Health System, Seattle Children’s Hospital and Research Institute, the Fred Hutchinson Cancer Research Center and the Hopp-Children’s Cancer Center at the NCT Heidelberg recently published the results of a clinical trial focusing on children with histologically diagnosed supratentorial primitive neuroectodermal tumors (CNS-PNET) and pineblastomas (PBLs). The clinical trial, published online October 17, 2018 in the Journal of Clinical Oncology, included children and adolescents aged 3-22 with these brain cancers who were randomly assigned to receive carboplatin during radiation and/or isotretinoin after the standard intensive therapy (high-dose craniospinal radiation and months of inpatient chemotherapy). 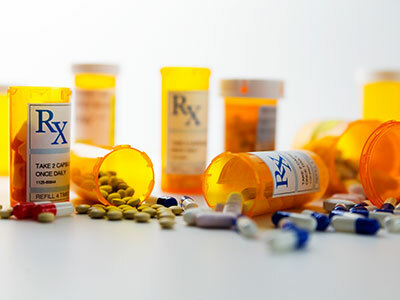 Importantly, because each patient was treated prospectively according to the clinical trial design, the conclusions related to tumor biology were felt to be less affected by varied treatment plans. During this clinical trial, 85 participants with institutionally-diagnosed CNS-PNETs/PBLs were enrolled. Out of the 60 patients with sufficient tissue, 31 were non-pineal in location, 22 of which represented tumors that did not fit in the diagnoses intended for trial inclusion. The researchers discovered that patient outcomes across each molecularly-diagnosed tumor type were strikingly different. 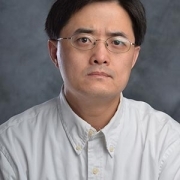 Patients with molecularly-confirmed supratentorial embryonal tumors/PBLs exhibited a five-year event free survival (EFS) and an overall survival rate of 62 percent and 78.5 percent, respectively. However, patients with molecularly-classified high-grade gliomas (HGGs) had a five-year EFS of 5.6 percent and OS of 12 percent, showing no benefit even with the chemotherapy and craniospinal radiation. Researchers determined that for patients with CNS-PNETs/PBLs, prognosis is considerably better than previously assumed when molecularly-confirmed HGG are removed. 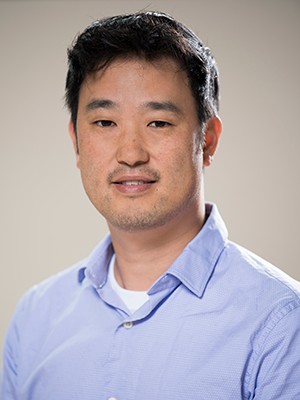 Dr. Hwang and co-authors concluded that molecular diagnosis can greatly aid standard pathological diagnostic tools, preventing unnecessary intensive therapy for some patients while enabling more rational treatment for others. 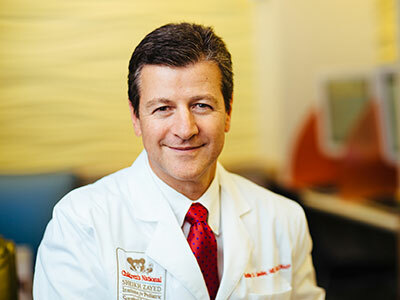 Dr. Jeffrey Dome, M.D., Ph.D., vice president, Center for Cancer and Blood Disorders. The Children’s Oncology Group published an article in the Journal of Clinical Oncology looking at the impact that surveillance imaging has on patients with Wilms tumor (WT), the most common kidney cancer in children. Despite the risks and costs, the use of computed tomography (CT) for routine surveillance to detect recurrence in patients with WT has increased in recent years. The rationale for using CT scans rather than chest x-rays (CXR) and abdominal ultrasounds (US) is that CT scans are more sensitive, thereby enabling recurrences to be detected earlier. 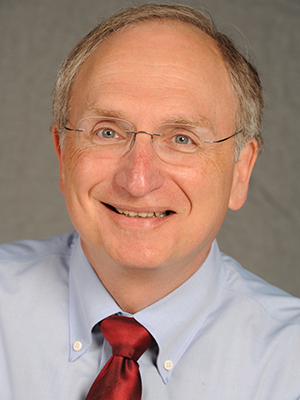 In this study, led by Jeffrey S. Dome, M.D., Ph.D, vice president of the Center for Cancer and Blood Disorders at Children’s National Health System, researchers conducted a retrospective analysis of patients enrolled in the fifth National Wilms Tumor Study (NWTS-5) who experienced relapse to determine if relapse detection with CT scan correlates with improved overall survival compared with relapse detection by CXR or abdominal US. 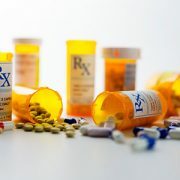 Among patients with relapse after completion of therapy, outcome was improved in patients whose relapse was detected by surveillance imaging rather after signs and symptoms developed. A higher disease burden at relapse, defined by the diameter of the relapsed tumor and the number of sites of relapse, was associated with inferior survival. Relapses detected by CT scan were detected earlier and were smaller on average than relapses detected by CXR or US. However, there was no difference in survival between patients whose relapse was detected by CT versus CXR or US. An analysis of radiation exposure levels showed that surveillance regimes including CT scans have about seven times the radiation exposure compared to regimens including only CXR and US. Moreover, the cost to detect each recurrence reduced by 50 percent when CXR and US are used for surveillance. In conclusion, the doctors found that the elimination of CT scans from surveillance programs for unilateral favorable histology Wilms tumor is unlikely to compromise survival. However, it could result in substantially less radiation exposure and lower health care costs. Overall, the risk-benefit ratio associated with imaging modalities should be considered and formally studied for all pediatric cancers. Learn more about this research in a podcast from the Journal of Clinical Oncology. Elizabeth A. Mullen, Dana-Farber Cancer Institute/Boston Children’s Cancer and Blood Disorders Center, Boston, MA; Yueh-Yun Chi and Emily Hibbitts, University of Florida, Gainesville, FL; James R. Anderson, Merck Research Laboratories, North Wales, PA; Katarina J. Steacy, University of Maryland Medical Center, Baltimore, MD; James I. Geller, Cincinnati Children’s Hospital Medical Centre, Cincinnati, OH; Daniel M. Green, St Jude Children’s Research Hospital, Memphis, TN; Geetika Khanna, Washington University School of Medicine, St Louis, MO; Marcio H. Malogolowkin, University of California at Davis Comprehensive Cancer Center, Sacramento, CA; Paul E. Grundy, Stollery Children’s Hospital, University of Alberta, Alberta; Conrad V. Fernandez, University, Halifax, Nova Scotia, Canada; and Jeffrey S. Dome, Children’s National Health System, George Washington University School of Medicine and Health Sciences, Washington, D.C. 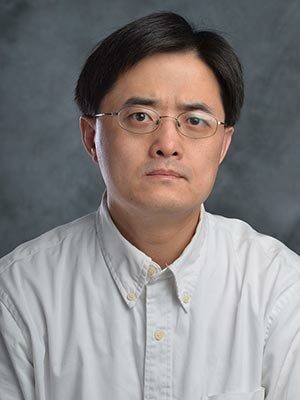 The study assessed the benefit of adding two additional chemotherapy agents, cyclophosphamide and etoposide, to the treatment regimen for patients with incomplete lung nodule response or tumor loss of heterozygosity (LOH) at chromosomes 1p and 16q, both associated with interior outcomes in previous studies. Wilms tumor, which first develops in the kidneys, is the fifth most common cancer in children under 15 years old. While overall outcomes for patients with Wilms tumor are excellent, patients with metastatic disease, with the lung as the most common site of spread, fare worse than patients with localized disease. That’s why a new study showing significantly improved survival rates for patients with stage IV Wilms tumors with lung metastases is making waves in the pediatric oncology community. The new approach to therapy resulted in a 4-year overall survival rate of 96 percent, compared to 84 percent on the predecessor study. About 40 percent of patients with Wilms tumor and lung metastases can be spared initial upfront lung radiation and still have outstanding survival. This will decrease the long-term risk of heart toxicity and breast cancer. Patients with incomplete lung nodule response after six weeks of therapy with cyclophosphamide and etoposide had significantly better 4-year event-free survival: 89 percent compared with 75 percent that was expected based on historical data. Intensification of therapy for patients with LOH at 1p and 16q was highly effective: 4-year event-free survival rate improved from 66 percent on the previous study to 100 percent. 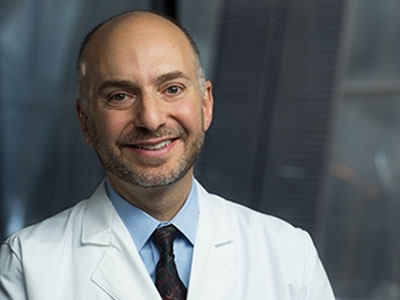 “Treatment options like these that help the body use its own immune system to fight off cancer are incredibly promising, and we look forward to continuing this work to understand how we can best help our patients and their families,” said Anthony Sandler, M.D. Despite being the most common extracranial solid tumor found in children and having multiple modes of therapy, neuroblastoma continues to carry a poor prognosis. However, a recent cutting-edge pre-clinical study, PD-L1 checkpoint inhibition and anti-CTLA-4 whole tumor cell vaccination counter adaptive immune resistance: A mouse neuroblastoma model that mimics human disease, published in PLOS Medicine shows the first signs of success in treating high-risk neuroblastoma, a promising step not only for neuroblastoma patients, but potentially for other types of cancer and solid tumors as well. 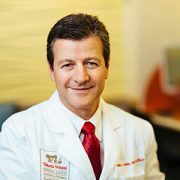 While the research was conducted on mouse models and is in the early stages, the lead author of the study, Anthony Sandler, M.D., senior vice president and surgeon-in-chief of the Joseph E. Robert, Jr., Center for Surgical Care at Children’s National, believes these findings are an encouraging development for the field. 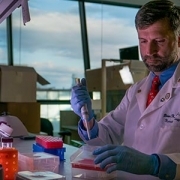 The treatment method combines a novel personalized vaccine and a combination of drugs that target checkpoint inhibitors enabling the immune system to identify and kill cancer cells. When these checkpoints are blocked, it’s similar to taking the brakes off the immune system so that the body’s T cells can be primed by the vaccine, identify the tumor and allow for targeted tumor cell killing. The vaccine then brings in reinforcements to double down on the attack, helping to eradicate the tumor. The vaccine could also be used as a way to prevent recurrence of disease. 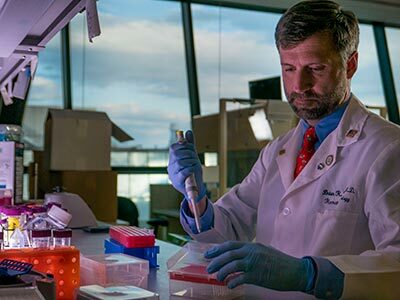 After a patient has received the vaccine, the T cells would live in the body, remembering the tumor cells, and attack reemerging cancer in a similar way that a flu vaccine helps fight off the flu virus. 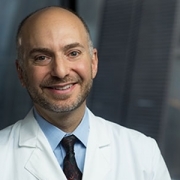 “Treatment options like these that help the body use its own immune system to fight off cancer are incredibly promising, and we look forward to continuing this work to understand how we can best help our patients and their families,” said Dr. Sandler.